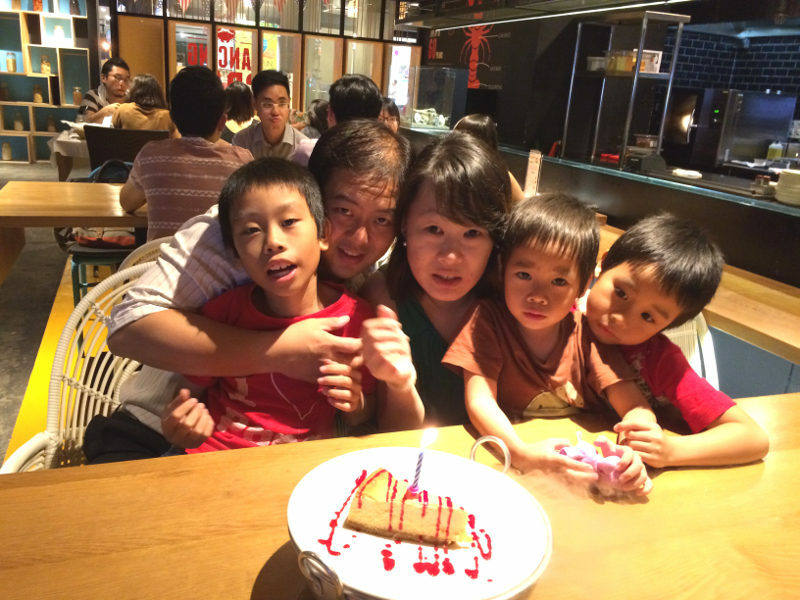 A mother of three from aged 5 – 9 years old, Ai Ling, Director of KindyROO Singapore shares her story on how she came across the KindyROO program, and how it has benefited her three children. How did you first come to know of KindyROO? 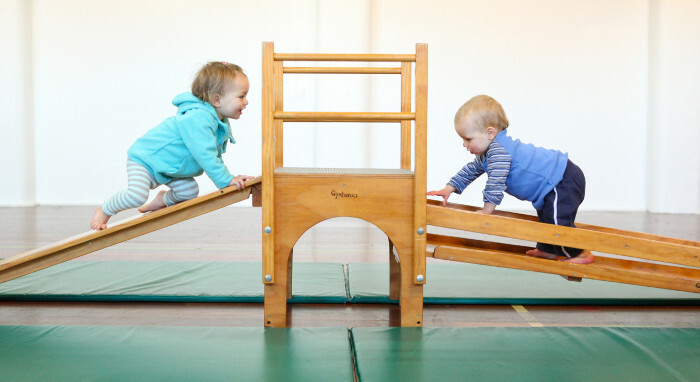 I was introduced to “Smart Start” in 2011 by a friend who works as a kinesiologist. 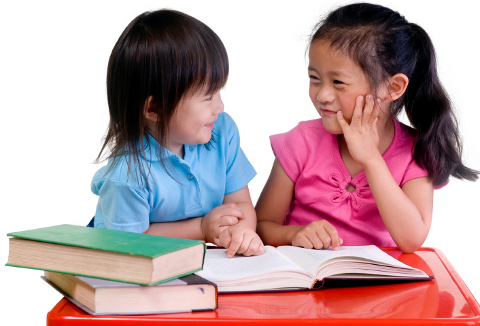 “Smart Start” is a book written by Margaret Sasse, founder of the KindyROO program. I was told to read the book and get my children to practice some of the exercises in the book. 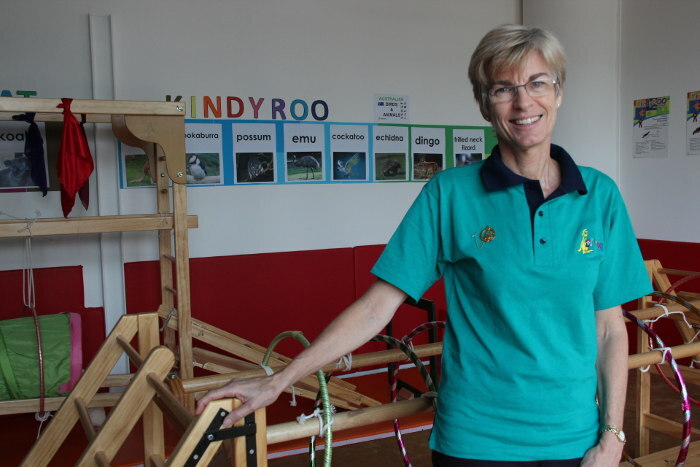 Of course the book does not contain the full activities of what we do in KindyROO, nevertheless it is a good starting point to understand how we can incorporate movements into our daily activities and how they benefit children. What caught your eye when you knew about KindyROO? 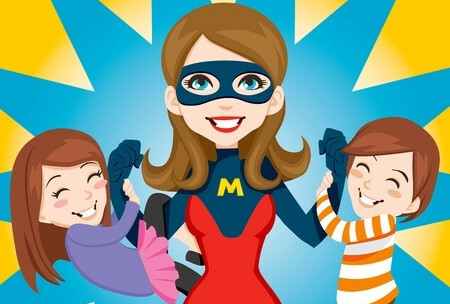 As a typical kiasu mother, I checked out various programs that I hope can make a difference in giving my children the best foundation and head start in their life. Many of the programs offer the same activities and some are either stressful or couldn’t retain the attention of my children. 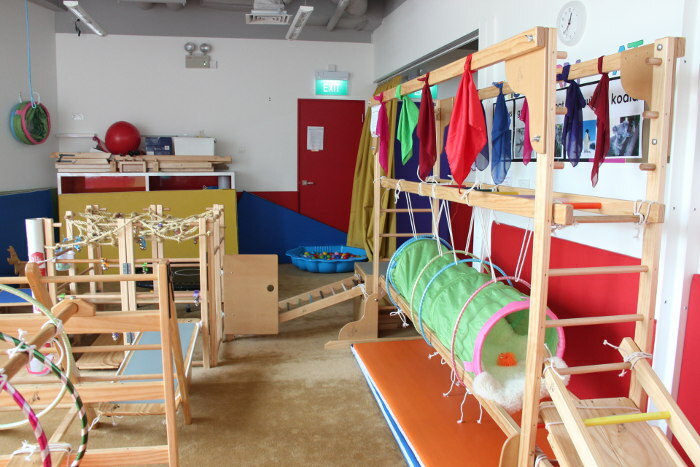 What really differentiates KindyROO program, besides the strong credentials and effectiveness of the program, is that it is really carefully structured to ensure that all children are able to participate well in the program, learning while having fun. There are many thoughts that had gone into the structure of the program to carefully draw the children’s attention, encourage them to overcome challenges and learning while not being seen to be too intimidating. This program structure is only possible through their 30 years of experience as well as having credible knowledge in childhood development. The positive learning environment is a very critical trait of the program as research has shown that subjecting children to positive environment tends to produce children with positive outlook in life while stressing them at a young age will have counter effects in later part of their life. When I first read the book on KindyROO, it was a necessity. 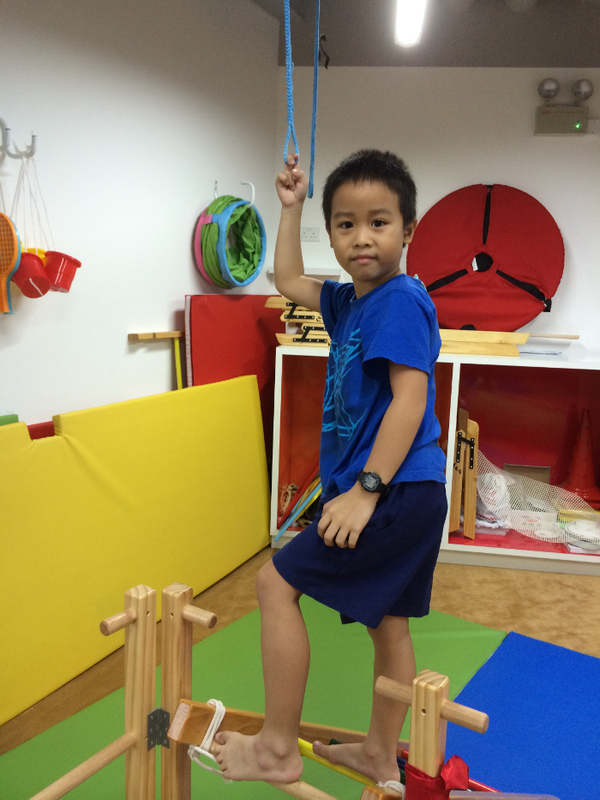 My eldest son has low muscle tone and developmental delay, and such movement-based learning activities are extremely critical in helping his development. 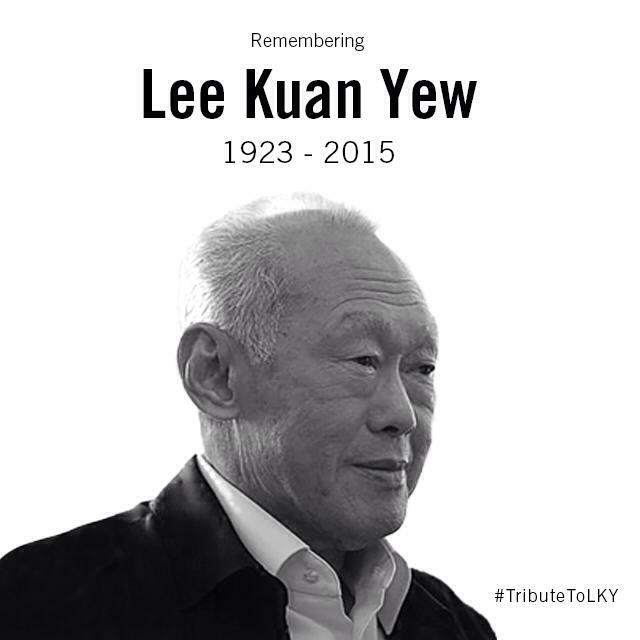 He started the activities at a much older age of 6 but still, we are able to see positive development, although at a much slower pace. He started to respond to our questions and conversation for the first time after few weeks of activities. For my 2 younger boys, since the book teaches simple natural movements which they enjoy, I practiced with them without any real expectations. I only begin to realize the potential of this program when both my younger children whom I did some activities when they were 2 and 4 received extremely positive feedback from their childcare teachers. Both of them demonstrated strong learning ability and displayed self-confidence. They were able to learn the lessons very quickly despite not having the benefits of extra enrichment classes. 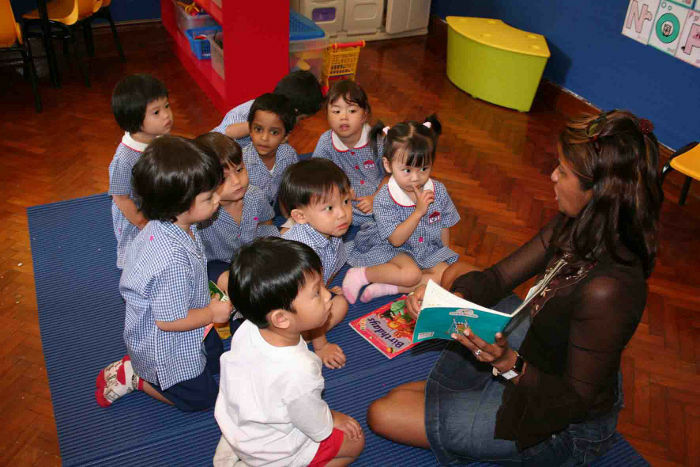 In fact, the teachers were surprised when during the parent-teacher meeting that we told them we did not send them to any extra classes as both my husband and I were too busy and also financially it is very challenging to raise 3 boys in Singapore. The meeting was a turning point that fully convinced me that I am on the right track. Have all your children undergone the KindyROO program? Yes, but in various forms. They had practiced the activities taught in the book Smart Start, but for the full program, only my youngest child has the benefit of the program due to his age. He is currently enrolled in the Possum program. How old were they when they started and how long did they continue with the program? They started simple activities since 2011, but as the book is written for children below 5, the 2 elder boys had stopped these activities. However for my youngest child, he had been doing this since 2012 on simple activities and only this year did he start on the full program. 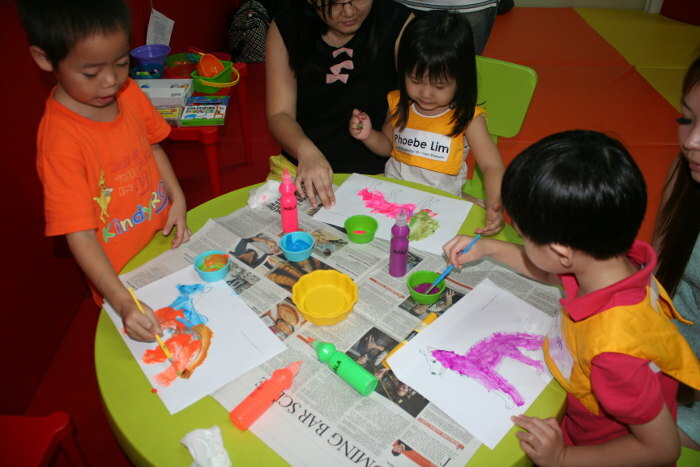 A core aspect of KindyROO is that parents attend the classes with the child. As a parent, what have you learnt and how have you benefited from attending the sessions with your children? I attend the possum class with my youngest child as the role of a parent. I have learnt that as parents, we tend to think that we know better, and we impose what we feel is important to our children. While this is true to some extent, we however fail to realize that our children are constantly communicating to us using their body language and there is more to learn about our children when we start to “listen” to them. I have in fact learnt more about my son since I accompanied him to lessons. As parents, we tend to be over-protective and not let them try difficult stuff in case they fall or their emotions may be hurt when they fail. However, children overcome their challenges in their own way and also in small sequential progression. Confidence are built along the way and by depriving them of this opportunity, they never really get to develop this part of their ability and that is why we sometimes see extremely smart children but yet lacking in confidence. Seeing how my child tackles the problems and resolves them provide me with great insight at how he has progressed and developed and he is in fact much more capable than I thought. How did your children react to the classes? My boy enjoys coming to KindyROO. He loves the new equipment setup that changes every few weeks. Every new setup provides new problems to solve and foster creativity when they conquer the equipment during free play. However, he also knows that the shop belongs to mummy and he tests boundaries by trying to sneak away during classes during some segments. Nevertheless he does look forward to classes every week. As for my 2 other boys, as we do not have any suitable classes for their age, we bring them once a week to the centre for some free play. 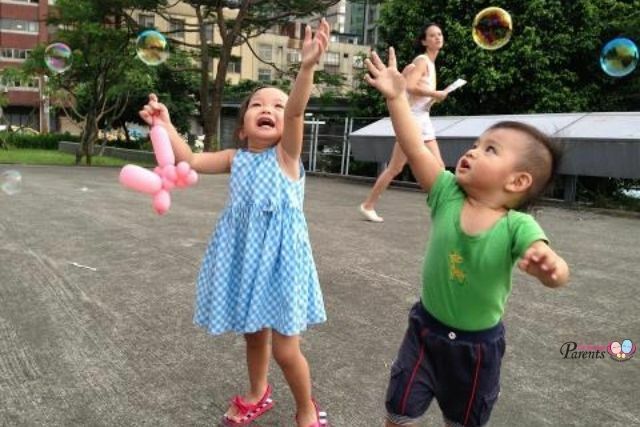 Play is vital to their childhood years and I want them to grow up with positive and wonderful memories. Just imagine their conversation with their peers 20 years later; I think they will have an interesting childhood story to share with others. And all these without losing out on learning and stimulating their learning abilities through the movement activities (talk about being kiasu!). What were the major differences you saw in each of your child after they started to attend the program? They were several differences, to say the least. The most distinctive ones are improvements in his thinking ability, problem solving and confidence. For example, if he wants a chocolate, he will walk up, take the chocolate, pretend to fiddle with it and asks “what is this, I’ve never seen this before. Can I open?” And next, the chocolate ended up in his mouth quickly. His brain is becoming nimble and his neuro abilities has integrated. He is able to focus clearly on his goal (eat the chocolate), understand the obstacles (me saying no) and motor plan his way to think and execute the various actions all at the same time (walk up, fiddle and unwrap, and pop into his mouth). Another day, I was also with him at the playground when he was playing with a friend’s child. When they saw some obstacles, like chin up bar and they cannot reach, the friend’s child will mumble “it’s too high, I can’t reach it!” and expect help. 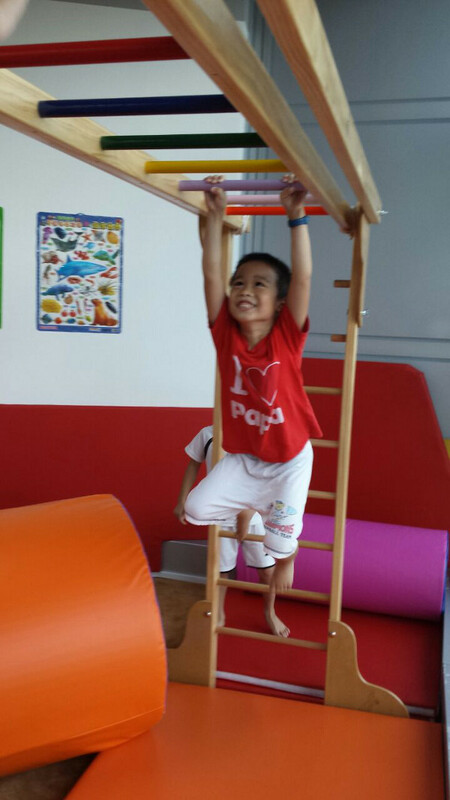 My son simply walk up, look around the bar and start to climb up the side pole before switching his hand to hold the bar. This demonstrate problem solving abilities and the confidence to take on challenges. These qualities are not textbook stuff which children can get easily. It takes more than our school system to inculcate this inner strengths and abilities which will stand in good stead when they eventually grow up and be independent and start taking on life’s challenges. What’s the most important thing you hope all children will be able to learn from the KindyROO program? The most important things are the development of self-confidence, automatic control of movement, posture and balance, the ability to visualize (see, interpret, understand and respond appropriately), and the development of cognitive and problem solving abilities. Academic excellence will come naturally when children have these qualities. The KindyROO program has a proven track record over the last 30 years where children tend to excel in school in ALL developmental domains – academic, physical, social and emotional. These qualities may not always be seen in children who only excel in academic, and this will be the biggest difference between our programs and the others. This is the third and final part of our three part interview series with KindyROO Singapore Pte Ltd. Director, Ai Ling.